As Senior Sustainability Analyst for Calvert Investments, Julie Frieder focuses on the chemicals, environmental control and containers and packaging industries. She has engaged in numerous environmental shareholder dialogues, including encouraging U.S. computer companies to take greater responsibility for solving the problem of electronic waste. 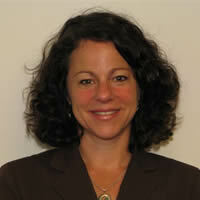 Prior to joining Calvert in 2001, Ms. Frieder served eight years with the U.S. Environmental Protection Agency. While there, she had special assignments with the President's Council on Sustainable Development and the New Zealand Ministry for the Environment. She earned dual master's degrees in Environmental Science and Policy from the Indiana University School of Public and Environmental Affairs, and has a bachelor's degree in Psychology from the University of Rochester.